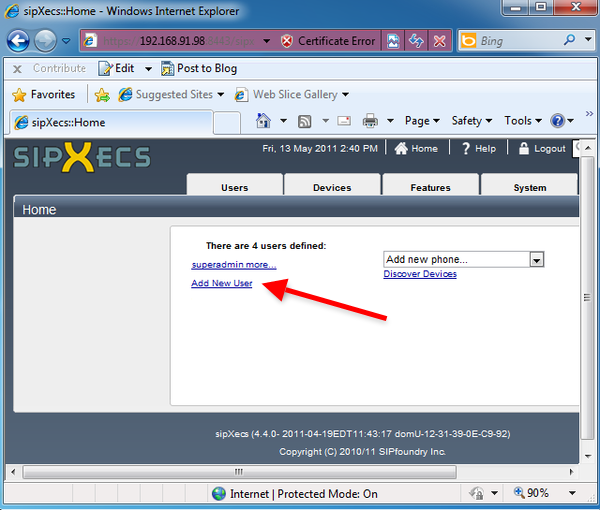 In this example I have installed SipX ECS on a computer which IP address is 192.168.91.98. You can reach and configure SipX ECS through its web interface. 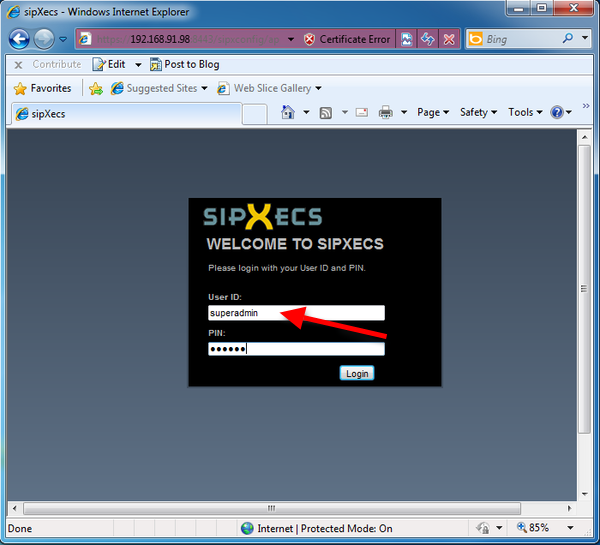 In order to configure SipX ECS navigate to the IP address of your installation using your web browser and login as superadmin (Figure 1). 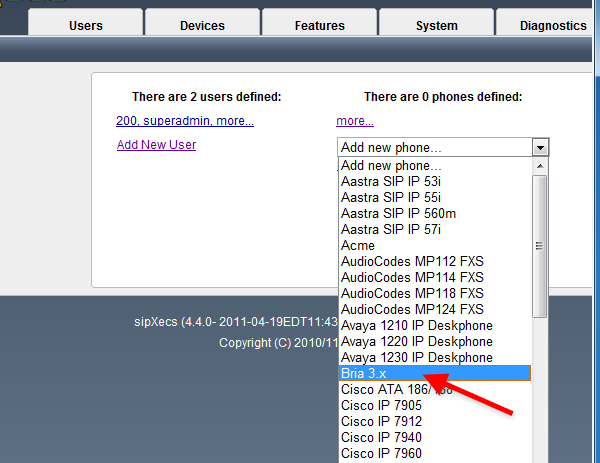 As you can see, by default there is one user pre-defined in SipX ECS, the superadmin. To add a new user, click on 'Add New User' (Figure 2). 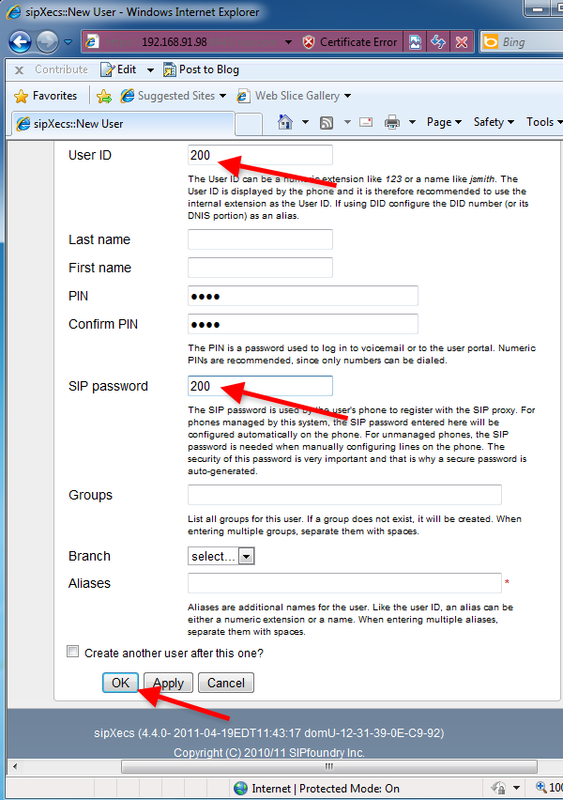 Enter a User ID, provide a PIN and a SIP Password in the respective fields, and click on 'OK' (Figure 3). 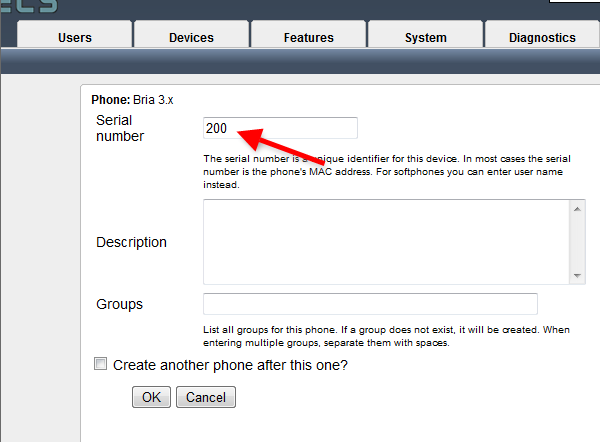 Enter the username to the serial number field, and click on 'OK' (Figure 5).